Darth Bling has been here, there, everywhere and then some with his derby career, dedicating himself not only to our league and making it better but to the sport as a whole. His consistent and persistent attitude is inspiring, helping pave the way of where derby is going in the future and applying his knowledge of where it was. With over six years of reffing under his belt, he has had the opportunity to watch our league grow and change into what it is today, volunteering under several different umbrellas, as a coach, official, ref, and committee member.  We here at Rose City Rollers are more than happy to present him with the Gold Star Volunteer Award. Congratulations Darth Bling, as a league we thank you for your years of dedicated service and look forward to the years to come. Why have you stayed involved with RCR? I continue to find officiating fun and challenging. Since I started reffing almost 6½ years ago, I’ve gone through five rule set changes, with numerous hand signal and verbal cue updates. Each change is unique and challenging, forcing you to break trained habits and relearning new ones. 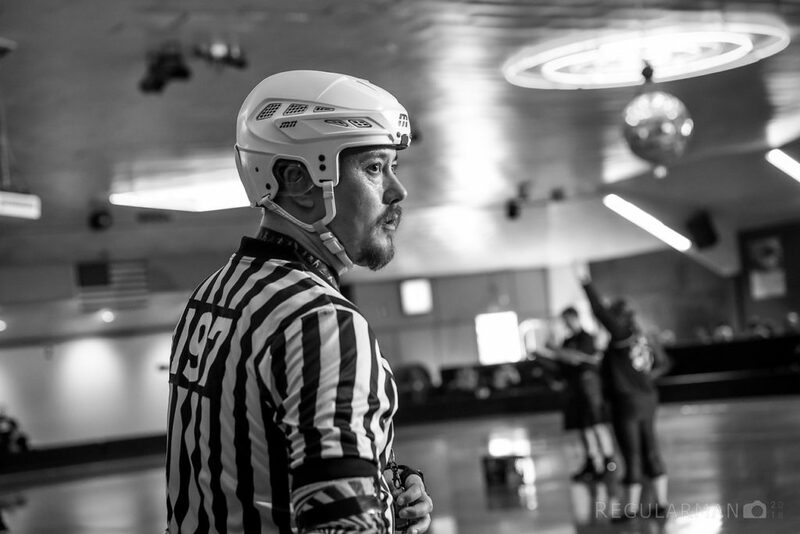 I’m also still working towards my goal of one day officiating on skates at WFTDA Championships. Coaching the juniors has also been incredibly rewarding and has allowed me to practice my dad jokes (much to the delight of the children). And not least of all, the officiating crew at Rose City is amazing. I thoroughly enjoy hanging out with the officials, even outside of derby. I can’t say my body has necessary enjoyed my tenure at Rose, but my spirit definitely has. What was your favorite volunteer experience? Two answers: The first would be 2016 WFTDA playoffs in Vancouver, BC. It was the last game of the weekend, with Angel almost beating Victoria. That game was incredible crazy and tough, but nailed officiating it. The second would be coaching the juniors at our own tournament here in Portland this last spring, where I won four out of five official reviews over the weekend. Any suggestions for new volunteers or those considering volunteering with RCR? The more you put into volunteering, the more rewarding it can be. Whether you want to spend all your time volunteering with roller derby or just causally help out, either is fine. If you decide on becoming a referee, that’s great. Just remember a few key things… derby is constantly changing, so if don’t keep up with the change or you become complacent, you’re going to find yourself struggling. Also, it may take you several months to a full year before you start making consistent calls. It’ll likely be frustrating and hard, but it’s certainly worth it. Becoming a roller derby official was of the best decisions I’ve ever made. And I couldn’t have been luckier than to start my career here at Rose City. When I started, we had outside white boards, minor penalties, poodling, two-whistle starts, pizza vs lasagna debates at officiating clinics, knee starts, and probably a bunch of other things I’m forgetting. I couldn’t have gotten to where I am today without great mentors. Big thanks to Wench Warden, Oedipus Ref, and Stegoscorus, for being my teachers. Also a big thanks to Andy Oakley for originally getting me interested in roller derby in the first place.